The consortium of leading Canadian airline, Air Canada, The Toronto-Dominion Bank, Canadian Imperial Bank of Commerce and Visa Canada have announced they've reached an agreement with Aimia, at least in principle, to buy the loyalty business Aeroplan. "We are pleased to see that an agreement in principle has been reached as Aeroplan members can continue to earn and redeem with confidence. This transaction, if completed, should produce the best outcome for all stakeholders, including Aeroplan Members, as it would allow for a smooth transition to Air Canada's new loyalty program launching in 2020, safeguarding their miles and providing convenience and value for millions of Canadians," said Calin Rovinescu, President and CEO of Air Canada, on behalf of the consortium. The deal is for a purchase price of $450 million in cash and is on a cash-free, debt-free basis and includes the assumption of approximately $1.9 billion of Aeroplan Miles liability. It was approved by the entire board of Aimia as well as one of its largest shareholders, Mittleman Brothers, who own over 17 percent of the company. Of course, the transaction is subject to the satisfactory conclusion of definitive transaction documents, Aimia shareholder approval, and certain other conditions, including due diligence, receipt of customary regulatory approvals and completion by the Consortium of credit card loyalty programme and network agreements for future participation in Air Canada's new loyalty programme. 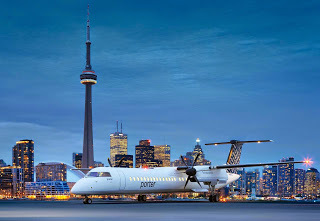 It was only on 3rd August that Porter Airlines announced it was joining Aeroplan from 2020 however, the latest developments may cause the regional carrier based at Toronto's Billy Bishop airport to reassess the situation, "Porter Airlines is aware that Aimia has reached a preliminary agreement with the consortium led by Air Canada to acquire the Aeroplan loyalty program. Porter recognized from the outset that Aeroplan may be purchased prior to its agreement taking effect in July 2020. If the consortium enters into a final definitive agreement with Aimia, we will then be in a position to comment on the impact to Porter’s agreement at that time." Michael Deluce, executive vice president and chief commercial officer of Porter Airlines told Air101.